It seems giving gifts to babies and kids is a lot easier than adults! But we do have a few ideas up our sleeve that you may not have thought of. Gifts for those that have everything and even gifts on behalf of those that have it all to those that are actually in need. We have tried most of these, but not all of the gifts listed. Of course, this is just a start to get you thinking outside of the box! Please share your ideas in the comments! 1. CSA Farm Share $150 - $500 | This is my favorite gift idea that I would love to receive, expensive as it may be. We have never had a CSA farm share because our monthly budget for food is $300, we just don't spend much. But I think this is the best thing you can give, supporting a local farmer and giving your loved ones fresh veggies and fruits in season. They will thank you later! 2. Blood:Water Mission $ any amount | Donate on behalf of your gift recipient to those that really need it. 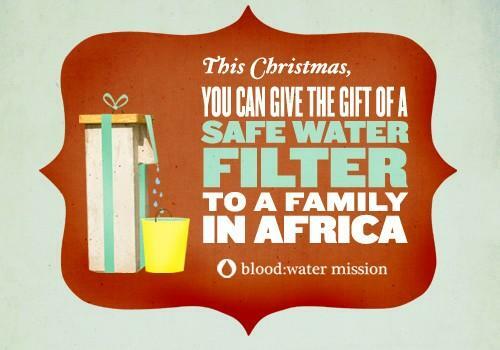 This charity builds wells and installs filters for those that don't have access to a basic necessity - clean water. This organization also deals directly with those affected by the AIDS crisis in Africa. 3. Train a Midwife $150 | Give much more than a gift by supporting midwife training in countries where infant mortality rates are staggering simply because there is no basic knowledge on childbirth and no access to basic medical supplies. 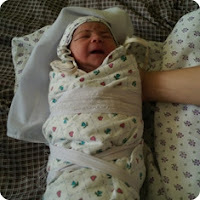 Support mothers and babies all over the world! 4. Make a Cake $12 | It will not cost you much, but of course takes a little more time. This special occasion cake is rather simple to make but takes some advance planning. I managed to do it with a baby, so you can too! It looks a lot harder than it actually is. 5. Goodbye Detergent Spaghetti Scrub 2 Pack $12.98 | I haven't used a dish washing sponge (germ factory) in over a year. I have also cut dish soap use in half. How? 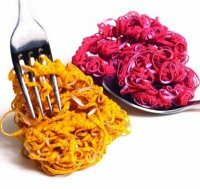 With these super awesome spaghetti scrubs, they revolutionized how I wash dishes. I would never ever go back to a sponge and I think every one in the world should have one of these! It's a great stocking stuffer. No germs, no stink, less detergent use, and one lasted me over a year - it was still looking good! 6. 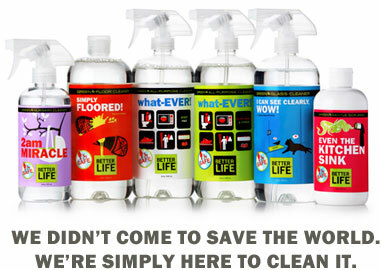 Better Life Cleaning Supplies $6 - $30 | Know someone who still uses toxic cleaning supplies in their home? Give the gift of a green clean with products that really work! We use Better Life on a daily basis and I can't recommend it enough. I absolutely love the delicious, essential oil scents too. 7. National Parks Annual Pass $80 | Have an outdoors-loving person or family on your list? This is such a great gift! It will give extra incentive to get outside, get fit, or just get some fresh air. 8. 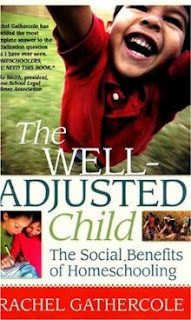 The Well Adjusted Child: The Social Benefits of Homeschooling $9.95 - 11.99 | Know someone who homeschools or is contemplating it? Maybe a close relative of yours is 'concerned' about your kids being homeschooled. Maybe you know a teacher who doesn't really know what homeschooling is. This book is a real eye opener on many levels and great for anyone interested in education or any parent for that matter. Couldn't put it down! 9. 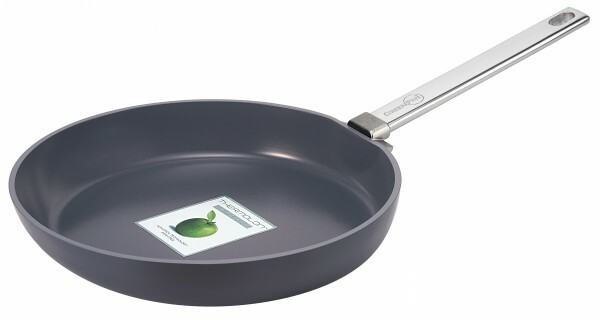 Copenhagen GreenPan Frypan $80 - $120 | Have a culinary artist on your list? Perhaps a friend or relative who is still using the toxic non-stick pans? I love my GreenPan! I use it nearly every day and I just love that nothing sticks, even without butter - and there are no off-gassing chemicals to poison my family. Hint: My mom actually bought the exact same one I have at Marshalls for only $30. 10. 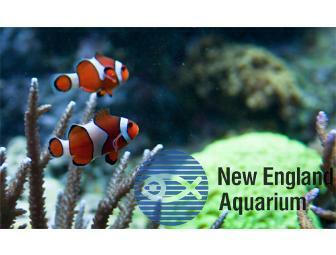 Aquarium Membership $85+ | The New England Aquarium offers gift memberships that are perfect for families. You may have others in your area or perhaps museums that families you know like to frequent. We do not have any memberships, but I know if we did, we would be out there using it more for sure! Now it's your turn, what would you love to give or receive as a gift? These are some great ideas! I never would have thought of the park pass as a gift, but I know that its something we would love.